Last year, Honeywell dipped its toe into the voice command pool with a voice-activated thermostat. 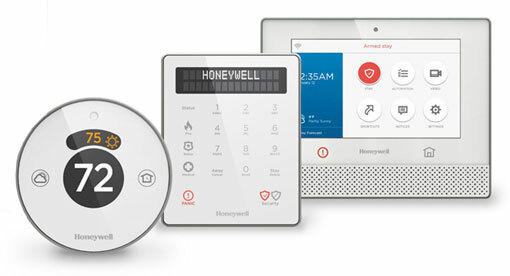 At CES 2015, Honeywell turned up the heat on its connected home offerings, adding a voice-activated home security line that works with a range of connected products, including thermostats, lighting, shades and lock controls. In addition to its touchscreen controller, the Lyric home security system responds to voice commands based on personalized presets. For example, “Hi Lyric, I’m home!” could disarm the alarm, unlock the door, switch on the lights and adjust the temperature — a huge improvement over fumbling for a keypad with an armful of groceries. At night, “Hi Lyric, bedtime,” could turn out the lights, adjust the temperature and arm the alarm system when you go to sleep. Lyric home security will be available through professional installers this summer.